Reveal matchless prowess and loyalty to the Roman Empire as a soldier of the heavy infantry, or earn freedom and renown as a gladiator of the arena. 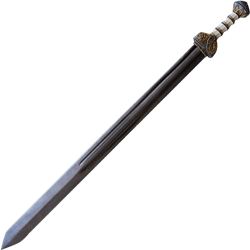 Regardless of the chosen role, the LARP Long Roman Spatha serves well in battle. A double fuller follows approximately three-quarters of the double-edged straight blade. 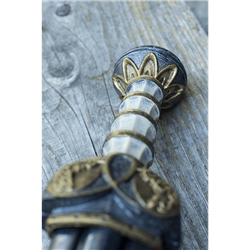 The hilt, or more properly the capulus, is cast from polyurethane. Its knobbed grip creates a strong, ergonomic hold that provides for a superb grip, and aids in making concise, controlled strikes. 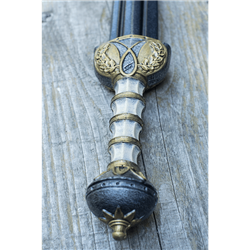 An antiqued iron finish and golden accents decorate the guard and the spherical pommel. Elaborate laurel leaves embellish the guard as well. Golden rings and a rustic, white finish cover the grip. 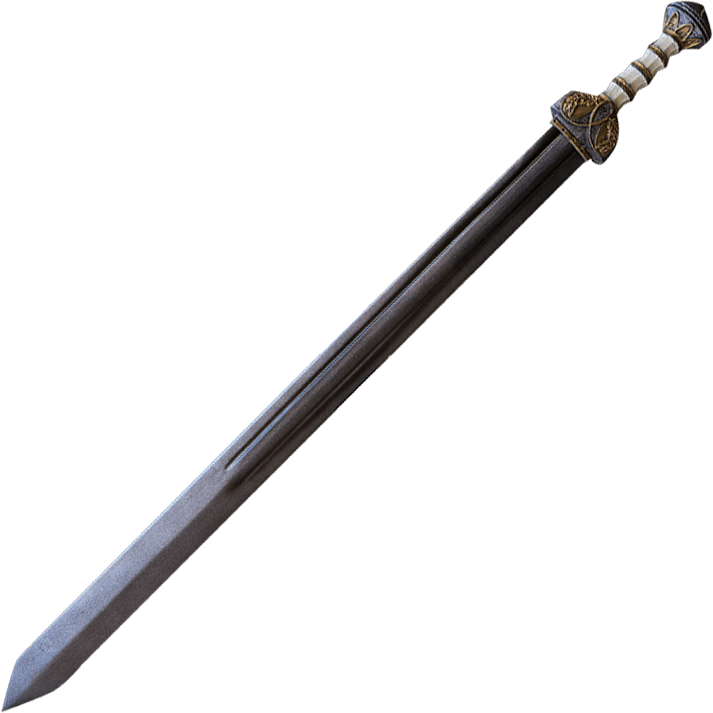 This sword is crafted from closed cell foam around a solid fiberglass core. 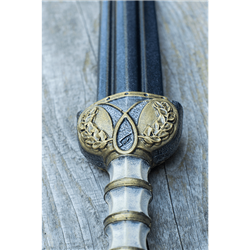 Finished with a latex coating, this amazing sword is suitable for every type of warrior..